Cuddle up with a loved one, or your favorite book in the soft comfort of this Casual style loveseat. 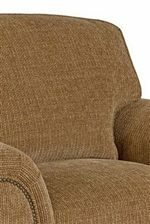 Perfect for your living room or den, this loveseat adds a cozy look to your home. Featuring plush cushions and supportive sinuous spring design, you and your guests will love the look and feel of this piece. 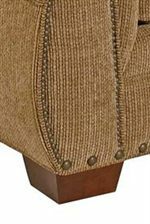 A nail head trim accent also adds a sparkling touch to the piece that you'll love. 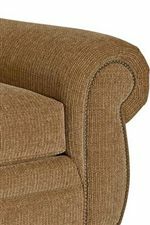 The Cambridge Casual Style Loveseat with Nail Head Trim by Broyhill Furniture at AHFA in the area. Product availability may vary. Contact us for the most current availability on this product.